You may have heard me in the past talk about the widespread displacement of consequence-based gaming by reward-based gaming. Party games, and to a lesser extent family games, have always been reward-based (you're rewarded for participation) rather than consequence-based (winning and losing is important, plus more), but hobby games were usually the latter. The change in hobby games started in the videogame world, where most single player games are puzzles rather than opposed games, and so as long as you are persistent - especially when you can use the video save games to try different things - sooner or later you'll solve the puzzle. Puzzles have always been with us, and truth to tell, puzzles are more popular than games with the population as a whole. But the move to reward-basis is far stronger now. Subscription games (MMOs) and now Free to Play games have been the real turning points, because the player must constantly be enticed to stay in the game long enough to begin spending money in the various ways that games extract/entice money from players, other than purchasing the game. So players are constantly rewarded, and practically all the consequences of their actions are good for them. Some players go so far as to blame the game if the player does not succeed. I have maintained that if there are no consequences to your actions, you don't have a game, you have a playground, a toy. And in a typical video game with its save game capability, how can there ever be any consequences to your actions, because you can always go back to your save game and try again? Tabletop games have always had consequences when you were playing with other people, because you can't go back and try again, you have to accept what happens, and that often involves losing the game. I think we're starting to get away from that now in some tabletop games, which are more reward-based than consequence-based. I was recently at the East Coast Game Conference in Raleigh North Carolina, where the keynote speaker was Warren Spector, designer of Deus Ex, Epic Mickey, and other games. Most video games have right and wrong choices, with the right one(s) leading to the planned ending (or several endings). As Spector pointed out, they tend to be black and white, right and wrong. Warren Spector wants player choices in (video) games to have consequences, but does not want the choices to be right or wrong, black or white. That's the difference between what he does, and a puzzle, where the right choice leads toward the always-correct solution. He wants to ask questions of the players and have the players grapple with possible answers, but he definitely doesn't want to answer those questions for the players. These questions are sometimes profound, as in what does it mean to be human (as opposed to a cyborg, robot, or alien). Moreover, Spector wants the choices players select to make a difference in the outcomes of the game. There are great many video games where you can make different choices but in the end the consequences are the same, including many branching games because the branches ultimately go back to a single node regardless of which choice you made. Of course, *good* tabletop games always have consequences to the player choices. It's built into the form with human opposition. These are consequences not only in success and failure, but in the outcomes of the game. For example, even though some people believe that my historical game Britannia is a heavily scripted game, you don't see two games go exactly the same way. Each player choice makes a difference in the outcome, and there are millions of possible outcomes. At one point Spector asked the audience if any of them had noticed that the big splash screen at the end of one of the Mickey games was created based on all the decisions the player had made throughout the game, so that there were thousands of different possibilities. Then he wistfully answered his own question by saying probably no one had noticed. Spector mentioned that in another of his games he allowed players to switch at will from one line of choices to another (I cannot recall whether it was character class or something else). And this had ruined the game, because it removed the consequences of so many choices. In effect Spector was talking about an idealized form of a video game, rather than the form that's actually played by most game players these days, which is the save-and-try-again-until-you-like-it method. By and large I prefer the practical to the ideal in game design; fortunately, you can design a video game with Spector-style consequences, and that will work both for those who do the save-game tactics, and those who don't. Consequences are a form of constraints, and contemporary players do not like constraints. They want to do whatever they want to do, as though they were on a playground or playing with toys. We've seen this occasionally for many decades, as it showed up early in Dungeons & Dragons. For example, character alignment was a form of constraint, and a great many players railed against alignment because it prevented them from doing whatever they wanted to do, from being what I call Chaotic Neutral Thugs, from behaving like they were in their own private playground, But now the attitude is much stronger, and there are many video games that pander to it in the name of retention (so that the player will spend money). Games are inherently a bundle of constraints. But we can design on a spectrum from strong constraints (where there are consequences to player actions) to ones with weak constraints (players rewarded for participation). 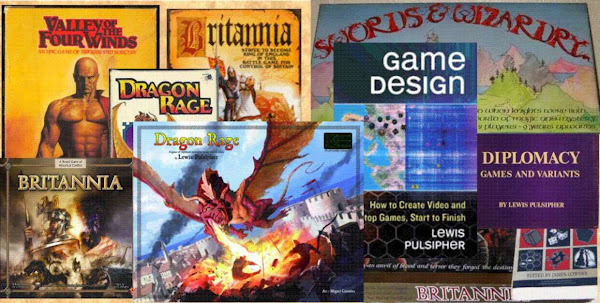 Tabletop games used to have a tradition of open games, where you could play in whatever playstyle you wanted. That's been undermined by puzzles, where you have to conform to the always-correct solution. I call the puzzle-games, epitomized by very many Euro games, and most single-player videos, "closed games". Spector is recommending that developers make open games, not closed ones. As do I. Unfortunately, closed games seem to be what the large majority of players want. And closed games are easier to design. If players are lawnmowering (trying every single option, then continuing with the one they like best), perhaps it's because they don't have any real agency in that choice because they don't have any reasonable basis for predicting the outcome. So many modern games seem to have a hard time conveying what the consequences of my choice are likely to be. This is akin to the bad old days when making the wrong choice in the adventure game (or face-to-face roleplaying game with teenage DM) led to instant uncued death. If I construct a model of what I want my character to do, make choices following that model, and the game undermines my model by having unpredictable outcomes, it's quite likely that I'll just reload and try to find the choice that leads to the outcome I wanted. Some of this may depend on game genre. I like that term lawnmowering, haven't seen it before. On the other hand, I know video game players - of retired age, not youngsters - who just try the same thing over and over again until they get a really good result, such as a battle, or even something as trivial as opening a chest that has random contents. A major difference between tabletop and video games is that the former - well, the better ones - are intended to be played many times, so that you can learn a lot about possible consequences, while the latter are often intended to be played just once, or a few times. "Learn by dying" (as you describe) has always been poor game design.